In this haunting tale, quirky loner Evie is in the wrong place at the wrong time when her sometime friend and local crush, Jonah, discovers a body in the woods - a body that turns out to be that of her childhood playmate. At the funeral, a fateful lie leads Evie into a complicated relationship with the dead girl's father and best friend. Before she realizes what is happening, Evie is on the hunt for a killer, spinning more lies along the way and putting herself in serious danger. Evie was a fairly great character. Her awkwardness was questionable at times. I liked that she developed as a character. Jonah was an interesting character, I liked the mystery that surrounded him at times and that Williams also lets you know that he is far from perfect. I loved Hadley. She was very real to what youth is like in today's society. I loved when they showed that she was vulnerable. The plot was really interesting, because it surround a death and how it can effect a whole small town. I found this part of the book to be interesting, because of all of the hysteria about the killer, when it turned out to be rather random. I didn't like all of the suspense that was built up and then not used as I wanted it to be. I also didn't like that their were no real consequences for Hadley, after what she did. I found this book to be fairly unique. Willams makes a stunning debut. 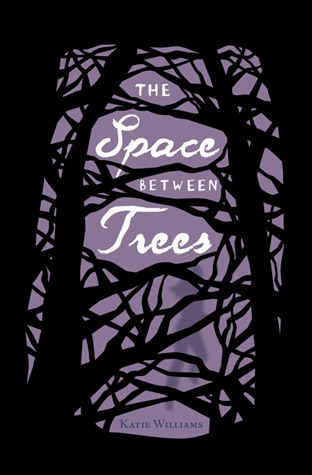 The Space Between Trees was an engaging book, that surprised me. Check out the first chapter of The Space Between Trees and get sucked into this awesome book. Chronicle was awesome enough to offer a signed copy of The Space Between Trees to one lucky winner in Canada or the US. The Contest will be running till August 12th. Just fill out the form below. Glad to see you enjoyed it so much. Thanks for offering up a copy! thanks for the giveaway and sharing your thoughts. i'm very curious about this one. sounds interesting. Good review of the book! Thanks for the giveaway. I'm following your blog now. Come check out mine if you like!